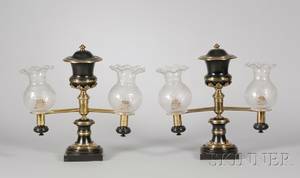 Pair of Lamps with Steuben Style Shades. 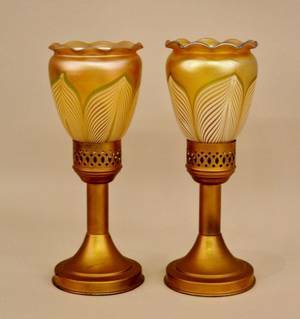 Similar to Steuben pulled feather form shades. 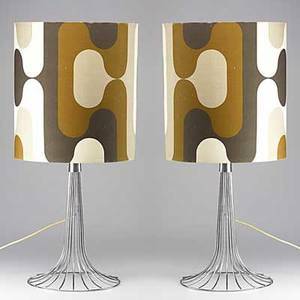 One shade signed "Lustre Art" on rim, the other unsigned. 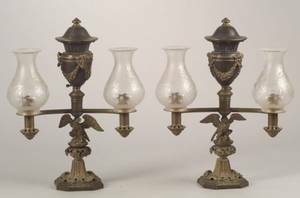 Marked on bottom "MASON CANDLELIGHT CO., MIDDLESEX, N.J." Pair of lamps intended for candle use, not electrified. 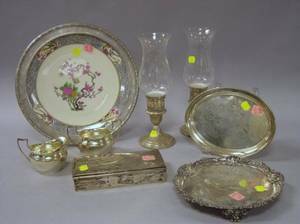 Height 10.8 inches. 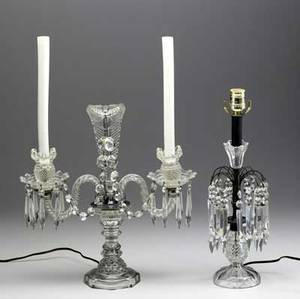 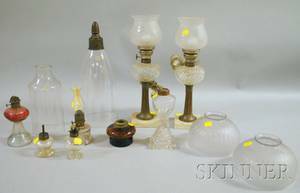 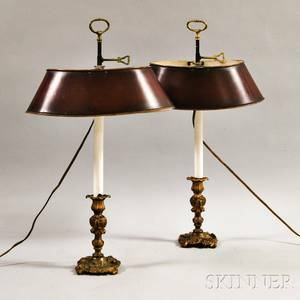 Archived auctions similar to Pair of Lamps with Steuben Style Shades. 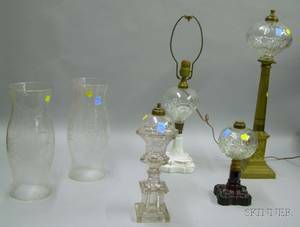 Lighting group four pieces include pair of cut glass candelabra lamps and pair of lamps with prisms, 20th c. tallest: 21 1/2"
Style of verner panton; pair of chromed steel table lamps with original cloth shades; unmarked; 36" x 17" dia. 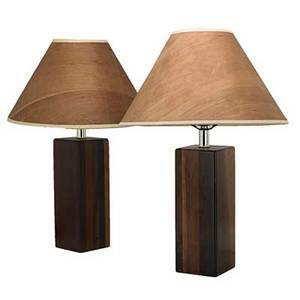 Danish; pair of laminated walnut bedside lamps with wood veneer shades, 1960s; unmarked; each including shades: 21 3/4" x 14" dia.